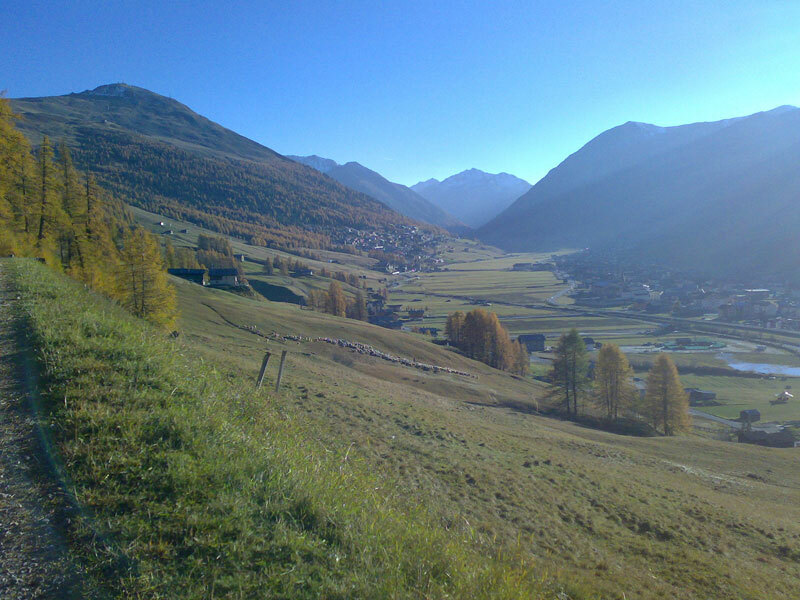 The route departs from the Livigno Dairy P4 and runs flat on bridleway N138 along the right bank of the Lake of Livigno up to Pont da li Ca'bra and then up to the Alpasge'la refuge. 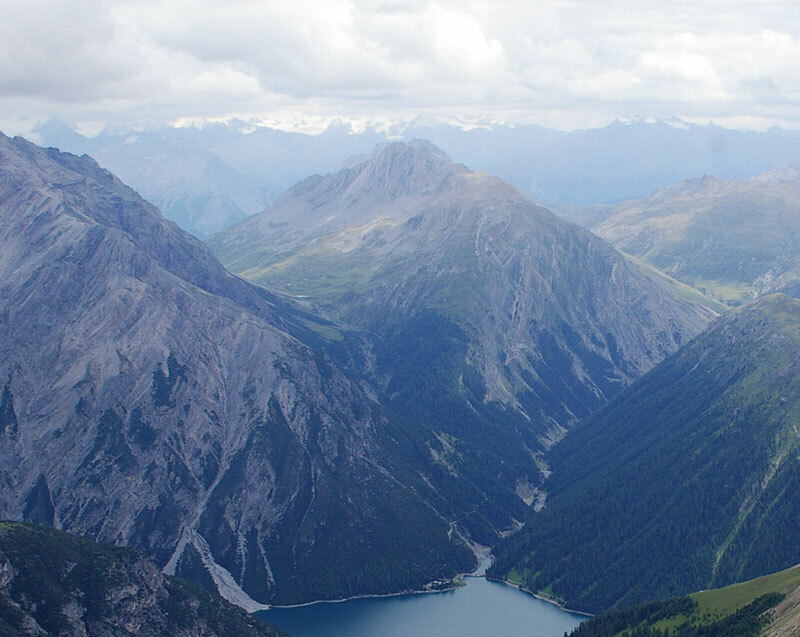 From this point, in the territory of the Stelvio National Park, the trail becomes narrow and challenging, but no less beautiful, surrounded by a forest of mountain pines that gradually intermingles with larch and fir trees. 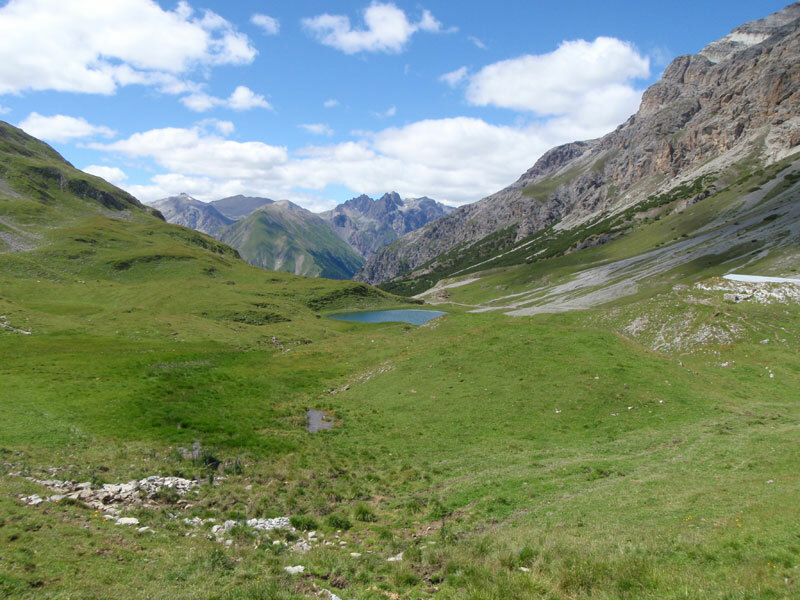 The path continues through charming and unspoilt natural scenery, past Do's da Bap and Pontin da l'Alpasge'la, becoming steeper then finally levelling off at the Val Alpisella Pass, with its hut and several alpine lakes. 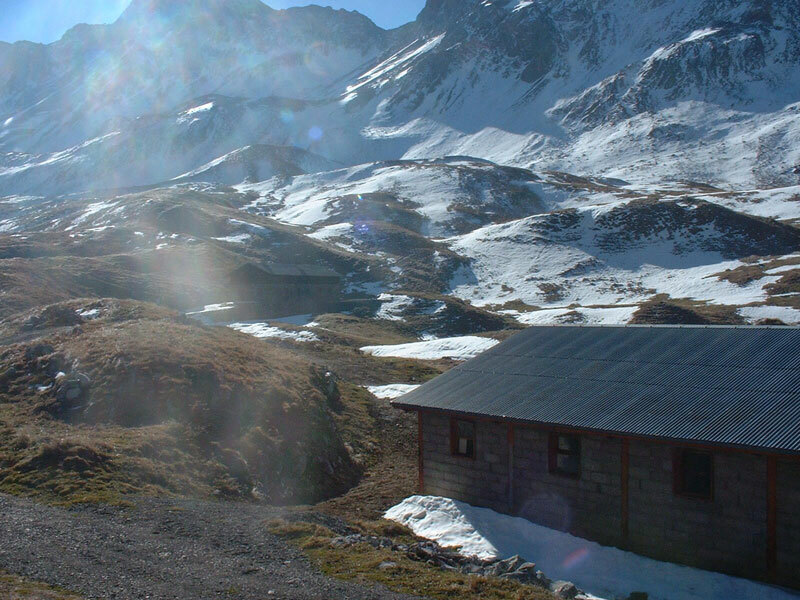 Slightly downhill further on, the trail forks and on the left leads to the sources of the River Adda, indicated by a small wooden sign.Val Alpasge'la A highly recommended destination for the variety of the approach and the richness and rarity of the plant and mineral types that can be observed at different altitudes, from 1816 m to 2292 m on the Alpisella Pass. These are truly unique scenic spots on a very popular and wellmaintained trail.